Omni :: ConversionPoint Technologies, Inc.
Upload and manage your rich media content in the Omni asset library. Add images, videos, or PDFs, and tag them to any product. The asset library allows your team to stay organized and access your rich media in one easy-to-use location. Build engaging rich-media experiences in a number of different layouts. This tool makes it simple to design product information and deliver it to retail partner’s websites. 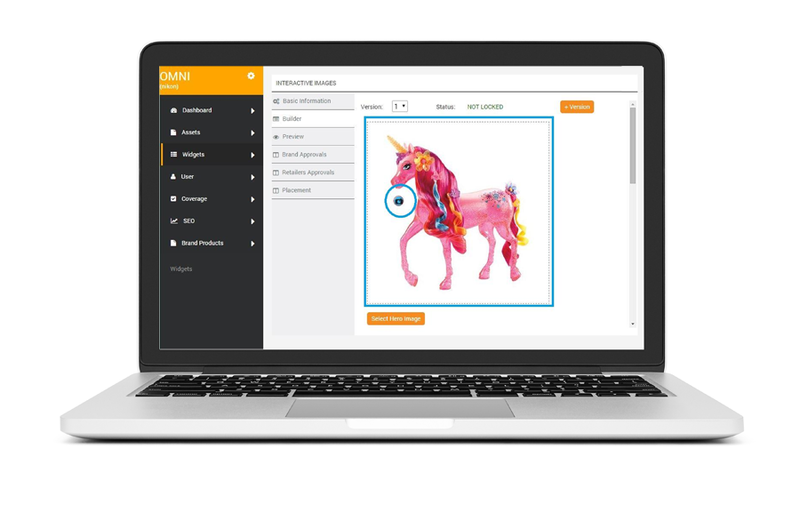 From Active Content Pages to Interactive Images and Mobile Tours, Omni widgets deliver your product story in a format your shoppers will love. Publish content with ease! Once you’ve built your rich media experience, publishing is as easy as pressing “Approved,” and Omni takes care of the rest. We make it simple! The Omni Engagement Dashboard gives you a detailed look at how shoppers are interacting with your widgets, and what’s getting them to purchase. Use this information to build better, more impactful product experiences, and prove the ROI of your Rich Media Content.